Site: located in the south east section of Chablis, this vineyard is next to Vaillons and Lys. It was classified as a Premier Cru due to its excellent exposure and kimmeridge soil concentration, giving it the easily recognizable character of Chablis. 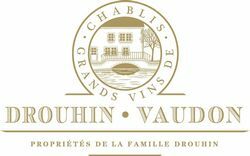 History & tradition: in the sixties, when the Chablis vineyards were all but abandoned, Robert Drouhin recognized the potential of this region which had been ravaged by the phylloxera disease a century before. He was one of the first Burgundy propriétaires who set about revitalizing the area. Soil: the Kimmeridgian limestone contains millions of tiny marine fossils embedded in a kind of whitish mortar which may have been once the bottom of the sea...hundreds of million years ago. This marine origin gives the wines of Chablis their unique flavour. Drouhin estate: 1.5 ha. (3.75 acres). Average age of the vines: 33 years. Biological cultivation since 1990 and biodynamic cultivation since 1999. Soil maintenance: age-old methods. Ploughing: "buttage" (hilling up around the vine-stocks) in autumn; "débuttage" (ploughing back in spring); work between the rows and the vine stocks done with manual tools only. Treatment: only authorized products for biological cultivation are used - infusions and macerations of plant materials, sulfur and copper, powdered rock. Natural predators are not eliminated. Plantation density: 8,000 to 10,000 stocks/ha. Pruning: Double Guyot "Vallée de la Marne" (for its resistance to frost). Yield: we aim for a lower yield, such as it existed before the new law. This yield is therefore the present maximum yield minus 20%. Average yield at the Domaine: 57.19hl/ha (the yield currently authorized for the appellation is now 58hl/ha). Pressing: very slow so as to respect the fruit. Juices from the last pressings are not retained. Throughout the ageing process, decisions are taken only after careful tasting evaluation. The data obtained is completed through technical analysis. As with every other Joseph Drouhin wine, absolute priority is given to the true expression of terroir and character of the vintage. "A characteristic and elegant wine. The colour is pale yellow with a greenish glint so typical of Chablis. On the nose, the aromas bring to mind citrus, white flowers and nearly salty notes. On the palate, the first impression is clear-cut and fresh. Long on the aftertaste, with fruity as well as mineral flavors; a honey-like sensation when the wine is more evolved". The wines deliver superb aromas. They are rich, suppple and offer a long aftertaste. The 2015 vintage is a faithful expression of the briny qualities associated with this appellation. Cellaring: 2 to 7 years.